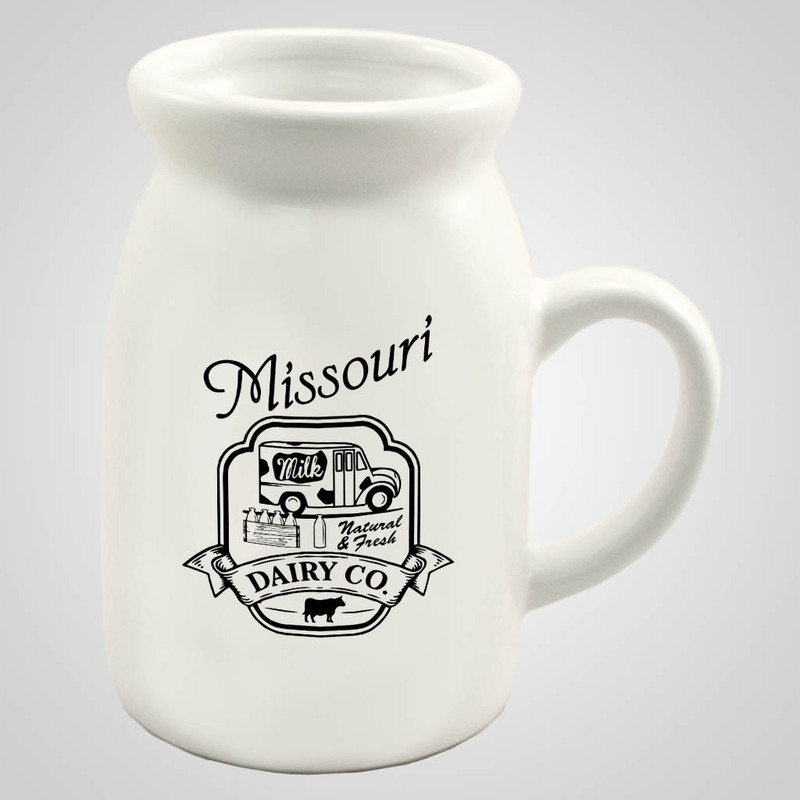 Ceramic white milk bottle mug. 4 X 4.3". Name Drop. Pad Print Design. Please be aware that any "NEW" namedrops or designs require a plate charge of $20 as well as a nominal art charge. These changes will not be reflected in your online cart and will be applied at the time of invoicing. Pad Print items can be printed with your state (or other popular region) for a low minimum of 18 pieces per item. Please see our Sojourn Souvenirs State Or Regional sections for more information. Please contact a Lipco representative if additional assistance is needed.